Black teacher Pete Dixon tries to teach the students at Walt Whitman High to be tolerant. He is assisted by girlfriend and school counselor Liz and student teacher (later teacher) Alice. The students love him. Bill's comfortable lifestyle must change when he receives a group of unexpected, long-term, guests. Reuben Kincaid: [Reuben's car is stuck in deep sand on an American Indian Reservation. A group of men in full Indian dress and war paint appear on horseback] I don't suppose you gentlemen are from the Auto Club...? One of the best 70s sitcoms. The Partridge Family premiered in 1970. Sure, it was sort of corny. But most TV shows back then were. It was a more innocent era then, and so was television. It revolved around the misadventures of a squeaky-clean, middle-class family, who decided to form a band and make records. It was based on the real-life rock-n-roll family, the Cowsills. David Cassidy, who was a teen heart-throb on the show, played the eldest brother, Keith Partridge. Laurie Partridge, played by Susan Dey, was his cover-girl-pretty younger sibling, and tended to annoy Keith on a frequent basis. 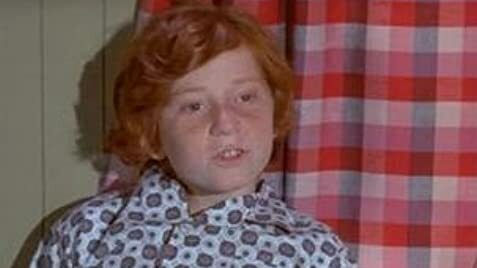 His other siblings were cute, precocious-types, especially Danny Partridge (who was the 10-year-old financial wizard). The family was headed by widow, and cool mom, Shirley Partridge (played by David Cassidy's real-life step-mom, Shirley Jones). The cast was rounded-out by their hapless Manager, Reuben Kincaid (played by rubber-faced comic Dave Madden), who always made a perfect comic-foil for Danny. The whole family sang and played instruments. They cut several albums during the course of the series, that spawned some hit singles. Their songs to me, were really quite good, especially if you like soft-rock and love ballads. I could identify with the Partridge's suburban life-style, having grown-up in a solid middle-American, middle-class suburb myself. Some of the kids on the show were my age, and some were the same ages as my own siblings. This show came on ABC on Friday night, following another family sitcom with several kids, the Brady Bunch. 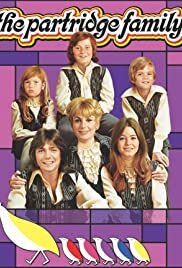 The Partridge Family even had many episodes that were so similar to some Brady Bunch episodes, they could only be called shameless rip-offs. Still, it was a gentle, family-oriented show, with good music and good acting by the cast. I always looked forward to Friday nights back then, just so I could enjoy the Partridge Family on TV.